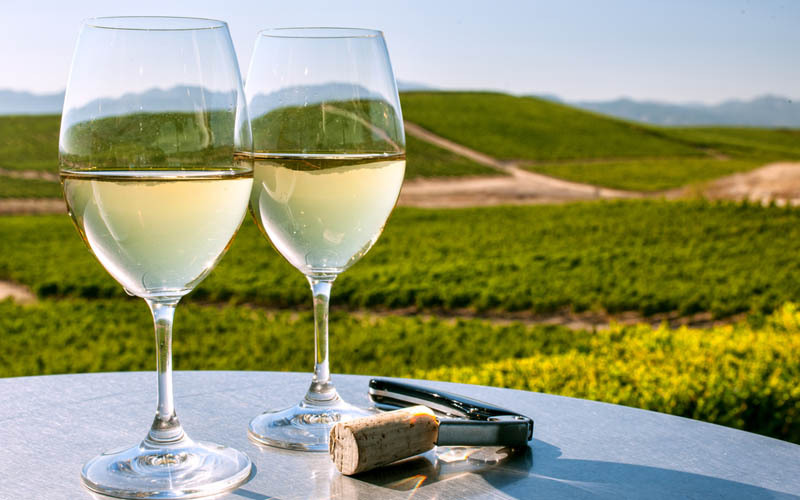 “Good food and drinks is a good pastime”, a saying that sums up the importance of gastronomy in Euskadi. This community has four restaurants among the 50 best in the world. What is their secret? One of the keys to this is how they make typical Basque products. We have selected products that you should try if you plan to make a trip to this region. Enjoy! One of the most typical Basque products is txakoli. It is a fruity, young and slightly sparkling wine from the caseríos from the sixteenth century. It is made with Hondarribi Zuri variety grapes that are collected in vineyards and transported to wineries. There, the grapes are destemmed, squeezed and pressed quickly. Later, the scraps, seeds and skins (skin that covers the grapes) that are used to make marc are removed. Then they are disgorged (elimination of the solid matter that is left behind after they are pressed) and decanted, which leads to the process of fermentation, which lasts between 12 and 15 days. Finally, the wine is stored in stainless steel tanks then subsequently bottled. 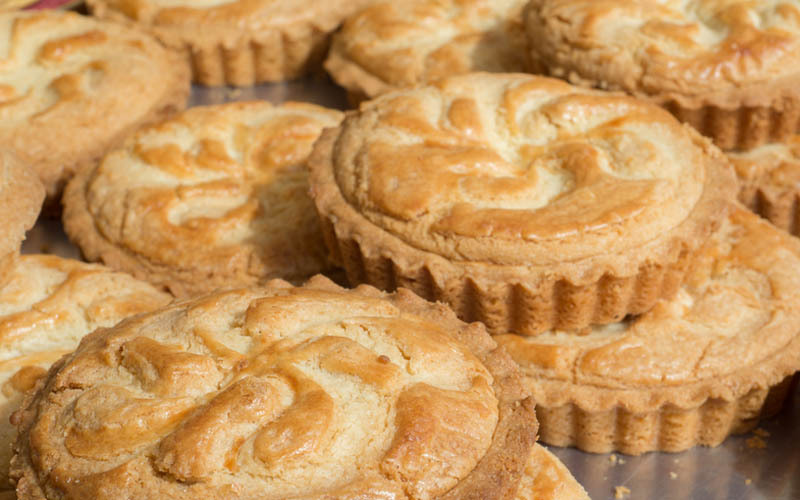 Sweeten your day with the Basque cake, one of the typical Basque products from the small villages. It is a dessert made with a cream and jam filling. To make the pastry, eggs, sugar, flour, yeast and a blender are used. The dough is spread with a rolling pin and spread with butter. It is filled with pastry cream – made ahead with milk, cinnamon, corn flour, sugar and eggs – and covered with the other part of the dough. It is decorated with a lauburu made with the dough. Then the whole surface is coated with egg wash and baked in the oven at 200° C for 25 minutes. Once it is taken out of the oven it is left to cool and sprinkled with sugar. 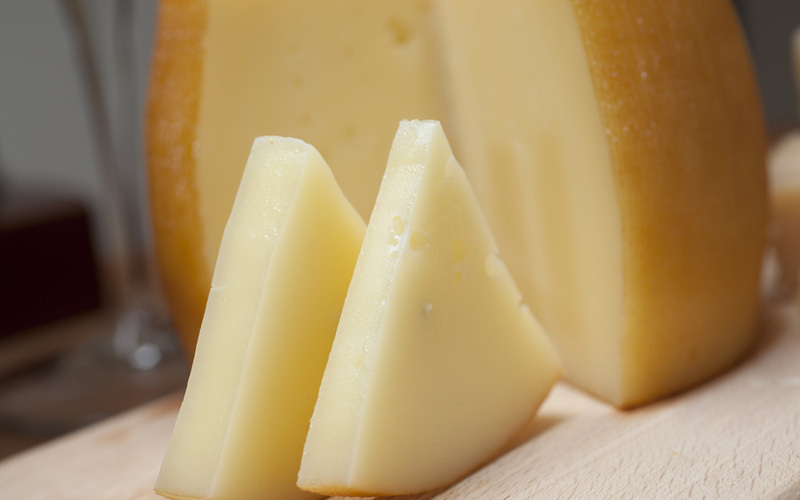 The villages are also home to Latxa and Carranza sheep, two indigenous breeds from which Idiazábal cheese is made. After the sheep are milked, their pure milk is refrigerated then later heated in a bain-marie until it reaches 30º. The rennet is added, which comes from the stomachs of these sheep, until the milk coagulates, forming an elastic gel that is cut, pressed and passed through brine. Finally, it matures in its chambers for at least 2 months at a temperature of 10ºC and a relative humidity of approximately 90%. 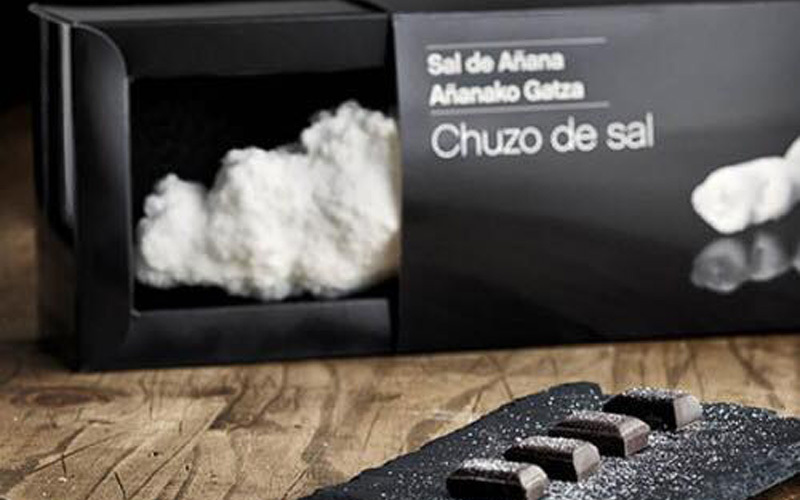 Another one of the typical Basque products comes from the salt mines of Añana, which is one of the oldest in the world. Salty Valley brine evaporates naturally in a process that usually begins in May and ends in September. The threshing floors are filled with two to four centimeters of brine in order to expose it to sun and the wind. During the following hours, the salt crystallizes and breaks into smaller parts, or grains of salt. To accelerate the crystallization, the brine is irrigated by being stirred with a roller then collected when there is a little water left. Then it goes through a final wash and then it is stored and packaged. In the 19th century, cousins Bernardo Pedro Franconi and Francesco Matossi exported and adapted the Swiss milk capital to Vizkaya. This is how the butter rolls from Bilbao originated, becoming one of the typical products of the Basque Country. You can find them in the best pastry shops in the city. 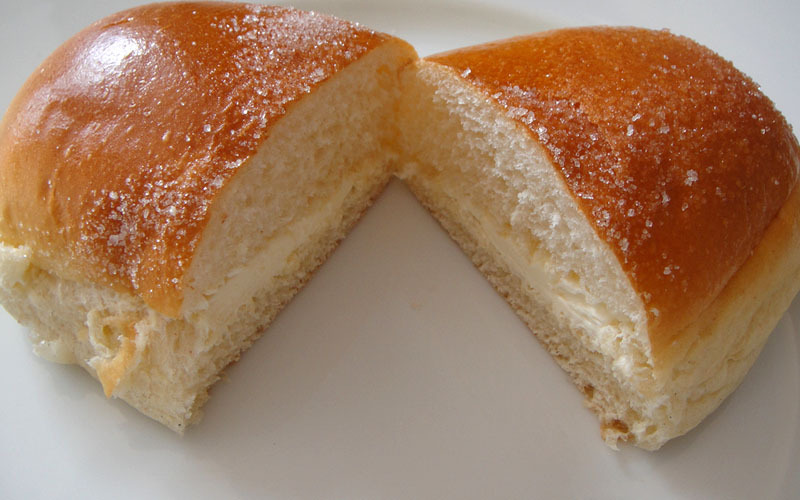 This kind of brioche is made with flour, butter, sugar, salt milk and eggs. After the dough is made, it is shaped and left to ferment until it multiplies in volume. After this process, an egg wash is applied and then it is baked at high temperatures for about 8 to 10 minutes so it remains soft and moist. Finally, it is cut in half and filled with butter cream. A sensory pleasure!